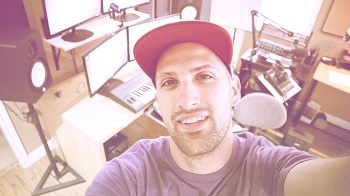 If you’re wondering how to copy and paste MIDI notes from one FL Studio project to another, or copy patterns to combine different parts of various FL Studio projects, I’m going to show you the best way to do so in FL Studio. An export setting inside FL Studio’s File -> Export -> Project bones. 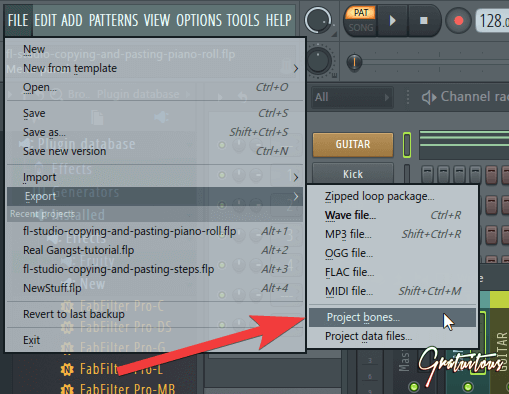 Project bones allows you to export an FL Studio project which contains all the information about your project (automation, channel settings, plugin effects, mixer insert states, and piano roll scores). 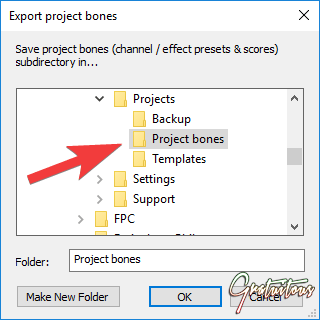 Project bones are not a way to back-up, and do not include your audio files! 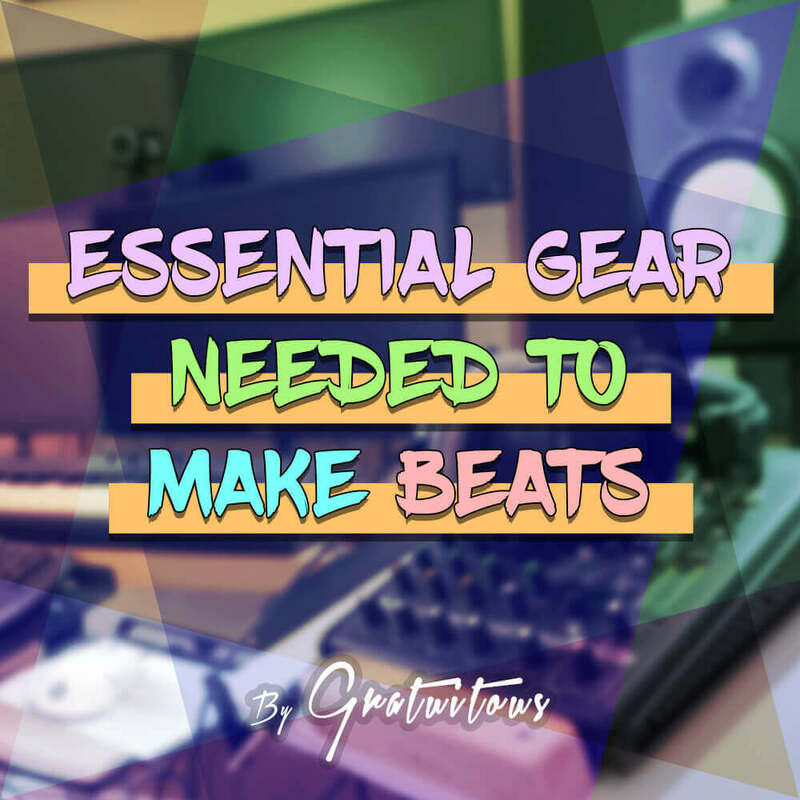 Learn the best way to back up your FL Studio project. Before realizing FL Studio had a feature called Project bones, I used to open a project and use CTRL + C to copy some MIDI notes, then open a new project to paste this data into with CTRL + V.
And this actually worked pretty good; it was quick-and-easy. But if you were wanting to copy and paste multiple sounds and transfer elements between FL Studio projects, it got a bit tedious. 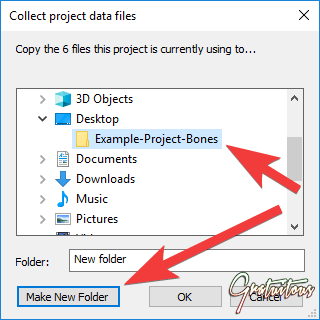 So there’s two approaches you can take when using Project bones. All of your MIDI content is within Scores. To get your old song’s data into your new song, simply drag one of the .fsc files onto a sound within the Step Sequencer in your new project, and you’re good to go! The same goes for any other data you’d like to transfer over like mixer insert states, for example; from the mixer folder, just drag one of the .fst files onto a mixer insert. Importing ALL of your old song’s Project bones into a new project is kind of redundant if you think about it. So the only way I’m aware of importing your Project’s bone data files into FL Studio is by dragging each file in one-by-one. When exporting your Project bones, it will automatically select this for you. FL Studio automatically selects it’s default Project bones folder after clicking Project bones from File -> Export -> Project bones. Now when you open up a new project where you want to import Project bones from a previous .flp (FL Studio project), you can easily click and drag right from within FL Studio’s Browser. 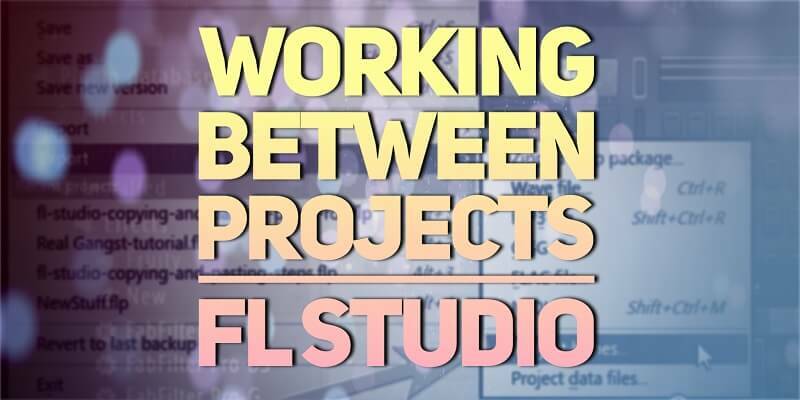 Project bones is the fastest way to exchange tracks and use FL Studio data between one FL Studio project to another. 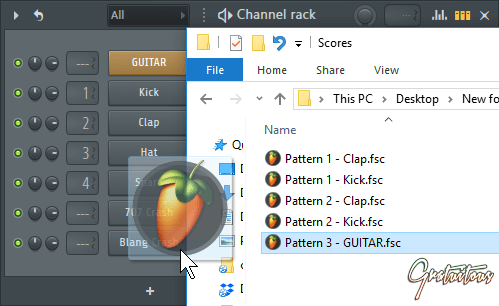 Transferring piano roll data between Fruity Loop projects is actually really simple, and this method is probably the easiest way to merge two FL Studio projects together.